Should fireplace inserts and hearth stoves have a metal sealing plate installed at the Damper area? Here is the simple answer. It is almost impossible to correctly seal most insert panels to the fireplace front. A lot of air can get through them - this works both ways.....hurts the draft when stove is being used, and can leak cold air into the home when it is not in use. Then there is the issue of keeping as much heat in the home space as possible.... if the plate is properly installed, everything below it becomes part of the home space and the panels are purely decorative. So, while it is possible that an full liner installation might be legal (with tight front panels and top seal), it is not the right way to do it. Im not being a stickler about this - the easiest thing I can relate it to is making furniture. Certainly a nail might do the job - but screws, glue and notches do the job better! I dont think it is going to burn any houses down not to have a metal plate (with full reline) - cant see how it would, as the liner system is still 100% contained. What about Damper block off's on pre-fab fireplaces? With a zero clearance you are not supposed to block off the circulating vents around the firebox front. But by blocking off the flue pipe you will achieve better results. With zero-clearances it can be tricky because you cant totally block off the fireplace in most cases. 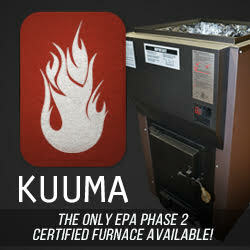 But, we maintain that is the best practice to block off the flue at the Damper level. This will allow for the best draft through the insert and allows the use of panels to be optional, which may be needed with some ZC installs. It is often possible to use a metal trim ring for the block off plate as the Damper in pre-fab fireplaces is usually small and round.